The well-known K-Beauty brand, Mamonde is one of the first few brands that have started adding more multivitamins into their latest skincare range - Vital Vitamin. 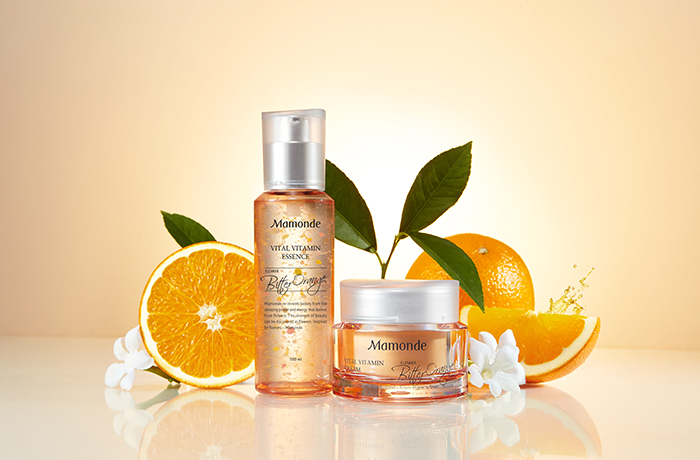 Mamonde's Vital Vitamin range consists of an Essence and Cream, which is introduced to the market with the first of its kind that uses multivitamins. It contains Bitter Orange Flower extract as well as six different kinds of vitamins including vitamin B3, C, F, E and P to moisturize, brighten and revialize the skin with their antioxidant properties. This skincare line is unique also because of the addition of vitamin P which is rarely added into skincare products. Vitamin P is a flavonoid, which can be describe as an extremely concentrated antioxidant molecules which not only help with reliving skin stress and enhancing collagen production, but also increases the potency of Vitamin C when applied to the skin. If powders, pills and health drinks aren't your thing, you can now opt for such multivitamin products that are jam packed full of vitamins to replenish and promote faster absorption of vitamins into your skin.